The Royal Prince Alfred Yacht Club’s Youth Development Program (YDP) was pioneered in 1995 to help develop and enhance young athlete’s sailing skills, as well as providing a pathway for youth sailors between 13-25 years old in Club, National and International events. 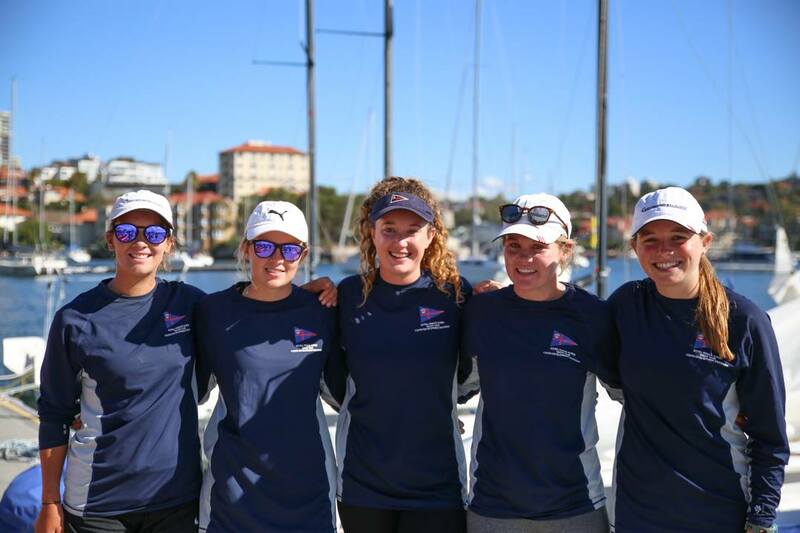 The club’s commitment to youth sail training has seen graduates go onto sail on the World Match Racing Tour, Olympic Games, Volvo Ocean Race, America’s Cup, Rolex Sydney to Hobart as well as various professional sailing circuits. In 2014 the RPAYC continued this commitment to youth sailing by commissioning and launching a new fleet of keelboats, the Elliott 7 one design boats. Understand and developing keelboat boat handling skills including the dynamics of both asymmetrical and symmetrical spinnakers. Developing a deeper understanding and knowledge base of the Racing Rules of Sailing. Implementing changes from dinghy fleet racing tactics to keelboat racing. Execution of better teamwork dynamics. Brief introduction into match racing. Gain regatta experience at the One-Design Regattas & Interclub events. The IYD program runs over five training days and selective regatta competition and is open to members & non-members with participants selected by RPAYC’s coaching Team. Developing advanced keelboat boat handling skills including the dynamics of both asymmetrical and symmetrical spinnakers. Understanding and putting into play the Racing Rules of Sailing and Match Racing tactics. Physical fitness through weekly gym sessions and nutritional goals. Creating a knowledge base for youth sailors in boat ownership and maintenance. Gym Fitness and nutritional goals. Competition in the Clubs One Design & Sports Boat Regatta's. Competition in the Clubs winter Centreboard racing program. Involvement in all club activities ranging from Race Management, Volunteer Coaching and crewing on members keelboats. Competition in home and away selection regatta's. The Youth Development Program runs from June through to October and is open to members & non-members with participants selected by RPAYC’s coaching Team. The Youth Development Adanced Fleet Racing Squad Program includes fine tuning existing sailing skills in fleet racing one design disciplines, creating a knowledge base for sailors in boat maintenance, regular competition in the clubs offshore sailing program, One Design Mini Regatta Series, Friday Twilight Series and Class Regattas and inclusion in all club activities ranging from Race Management, Volunteer Coaching of IYD, YD and some club community programs. This course focuses on advancing your Fleet Racing competition skills including knowledge of the racing rules of sailing, start line and rounding tactics, team development, boat management, campaign planning, sail trim and boat maintenance. Teams will be formed to compete and be eligble to win points in the clubs sailing program. 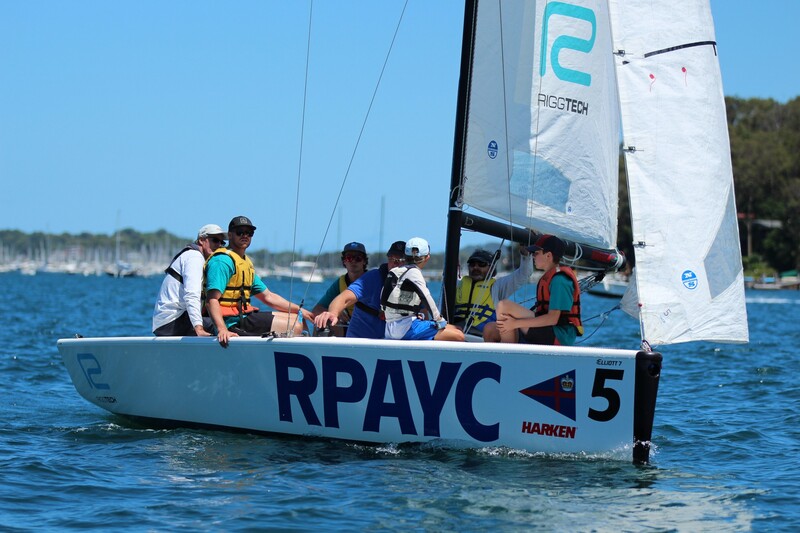 The Youth Development Advanced Keelboat Program runs from October through to April and is open to RPAYC members only. The Youth Development Advanced Match Racing Squad Program is for those athletes that show determination and drive to excel in Match Racing. Selection into this program will be limited and dedication by athletes is a must. Training will be customised to those selected and team dynamics (will involve early mornings and later afternoon on water sessions). Participants in this program will be selected to represent the club at Grade 3 and higher events. 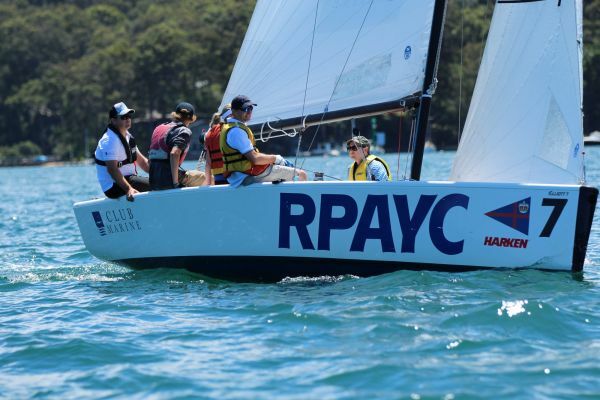 The Youth Development Advance Match Racing Squad Program runs from November through to July and is open to RPAYC members only with participants selected by RPAYC’s coaching team. Sponsors play an integral role in the program by funding the cost of the Elliott’s, their maintenance and racing equipment, while parents and other community volunteers help out with functions and regattas. Additionally, the Youth Development Program has strong support from volunteers, current participants and past graduates in club events.